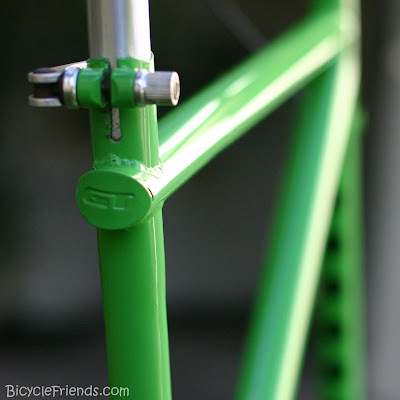 BicycleFriends.com: Completed, The Tall Bike is Here! So, this project has been on-going for a few months but I am happy to announce the Tall Bike is finally completed. 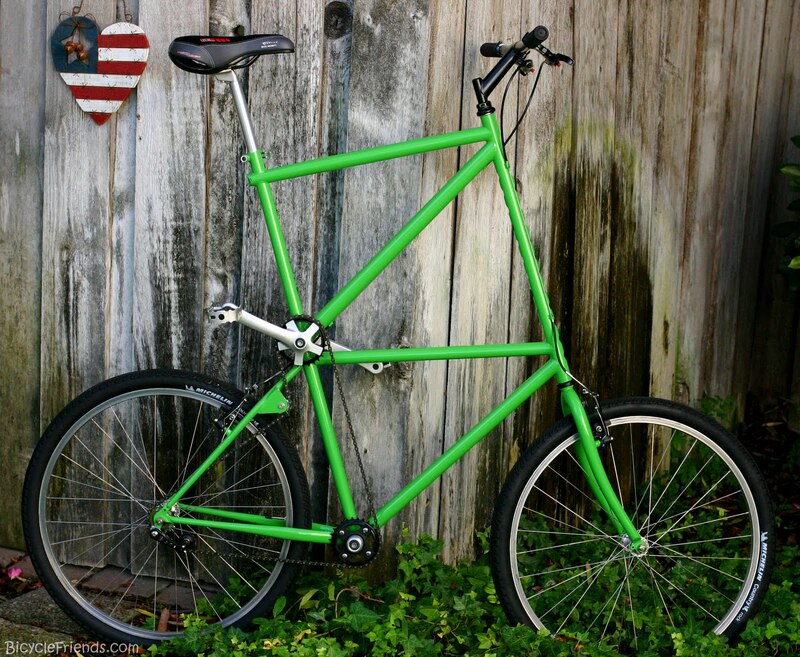 Tall Bike, Funny Bike, Double Decker Bike, call it what you want. The inspiration came one raining weekend. I was at home, not able to ride due to poor weather, surfing on the web when I saw this video. I was amazed, so I started searching the web for more tall bikes. Every video, pictures, and etc made me laugh and I thought how fun it would be to have one. Luckily, Nick, from CANIDAE Racing was willing to help me realize my tall bike dreams. Nick and I talked over my ideas and my very specific request that the design be clean. On the web there are a lot of "Franken" Tall Bikes. I get that that and can appreciate them. I mean aren't all tall bikes "Franken" bikes anyways. That's part of the fun, taking two beater bikes, welding them together and viola, a tall bike is born. Not my tall bike. I wanted MY tall bike to be clean, well thought out and pretty! Needless to say, I'm happy with the results. 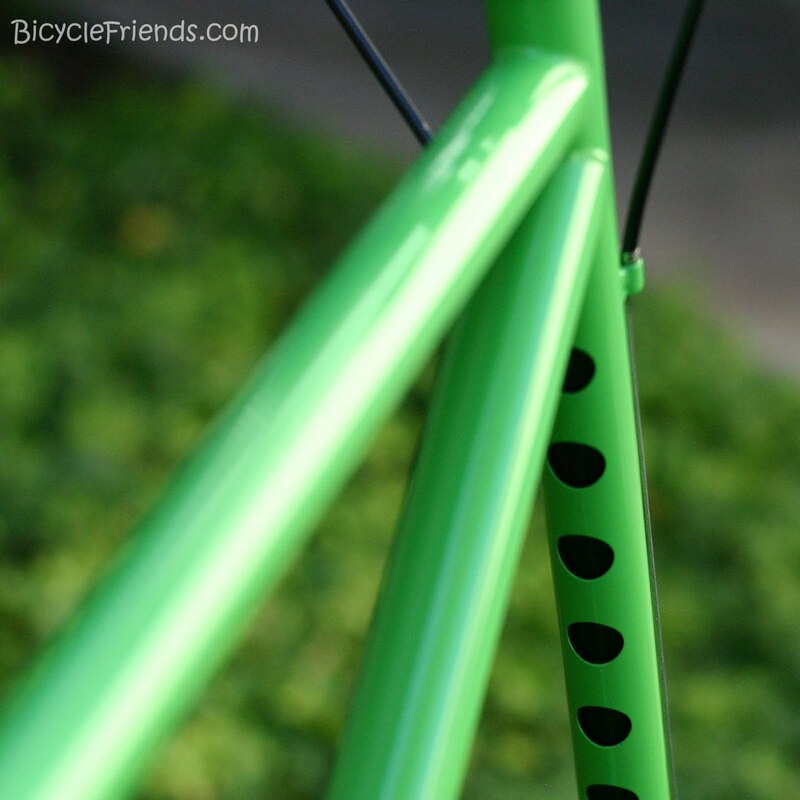 It was Nick and Scott's idea to cut out holes in the head tube. 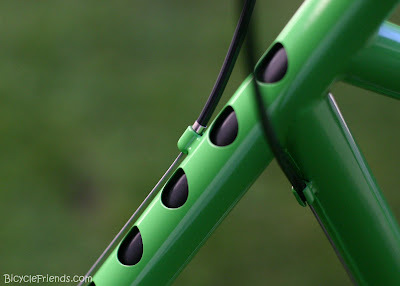 We powder coated the Steerer tube black and it contrast nicely against the green head tube. Franken Bikes, the donor bikes were an old GT Outpost and a cheap Performance Bike Frame. Here is another shot of the head tube. Nick worked hard at cleaning up the chain linkage. 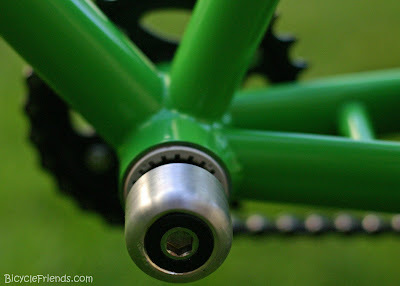 To get everything aligned we had to use two 68mm X 113 mm square taper bottom brackets. 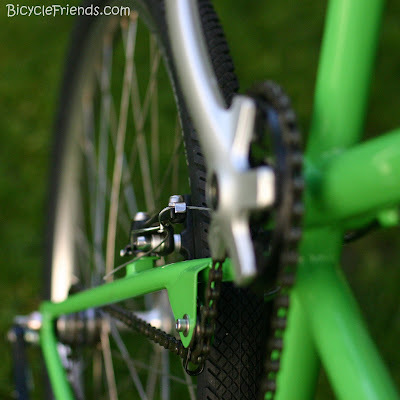 Chain alignment is PERFECT! Cut and clean! Un-necessary material on the crank arms were cut away. Another angle. 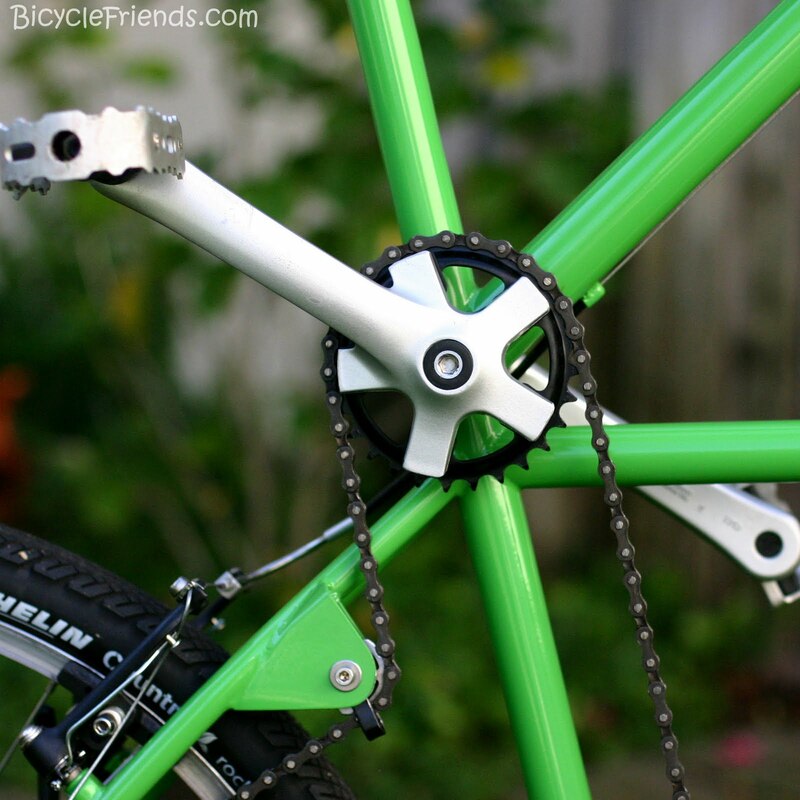 We used an aluminum pulley wheel to guide the chain up to the top chain ring. Nick cut and machined down the bottom crank arms to a nub! Very clean! Sweet! Congrats on finishing it. It looks great. Now we need a vid of you riding it!